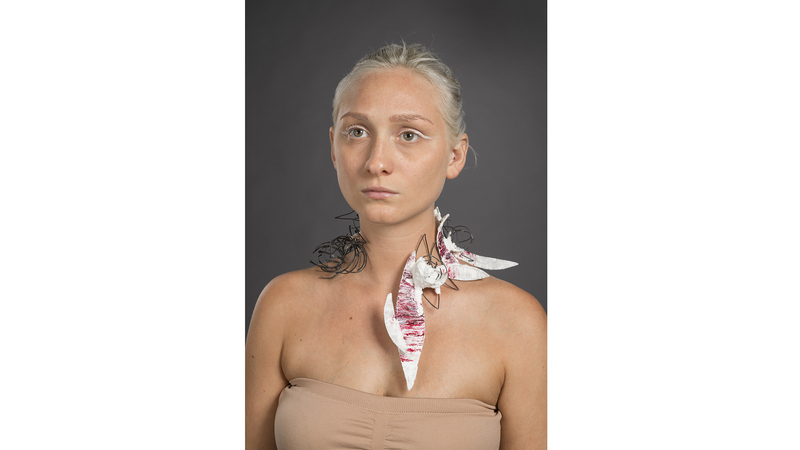 The MFA in metals and jewelry design is a professional degree for practicing artists, craftspeople, or designers who desire to leave a lasting impression on their fields through a devotion to their work and the high standards of discipline and artistic ideals. 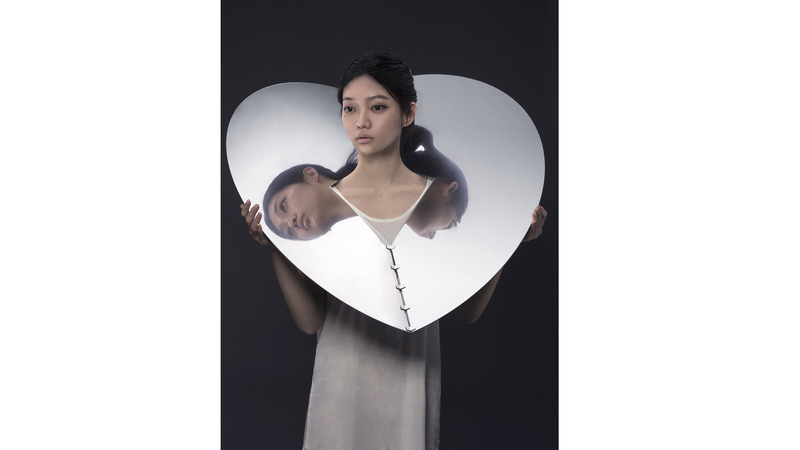 This jewelry design degree challenges conventional thinking. In this major, you’ll improve your knowledge and experience working with different theories and materials while you are challenged to think unconventionally in order to redefine industry standards. 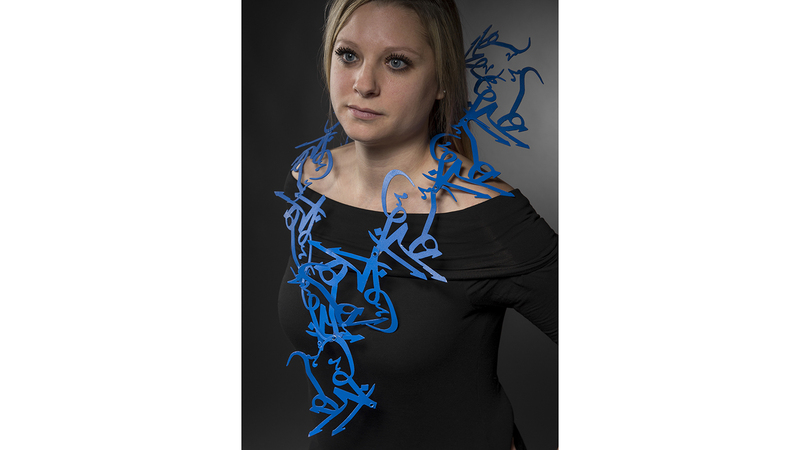 The MFA in metals and jewelry design is generally a two-year, full-time program that involves the presentation of a thesis, which includes written documentation and a formal exhibition of a body of work. 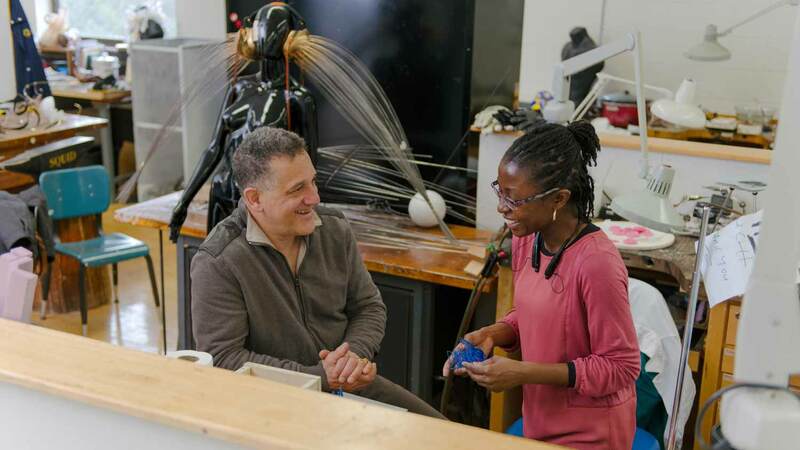 The program provides students with broad exposure to metal working techniques, expands knowledge of applied design, strengthens perceptual and philosophical concepts, and develops an individual mode of expression. This sequence leads to a master’s thesis, inaugurated by the student and overseen by the faculty. The program is structured on the basis of individual needs, interests, and background preparation, as may be determined through faculty counseling. Xinhao Yang was awarded Best in Show in the Society of North American Goldsmiths’ 2017 juried student exhibition for this acrylic, copper and zinc creation. Julia Manson '17 designs "Gateway," her second prominently placed work in downtown Rochester. The School for American Crafts offers a Studio Residency program for students in ceramics, furniture design, glass and metals and jewelry design. Residence positions are limited and are awarded after the review of all applicants’ portfolios, transcripts, and references. An interview is required. Accepted residents are required to register for one independent study credit during each semester of residence.